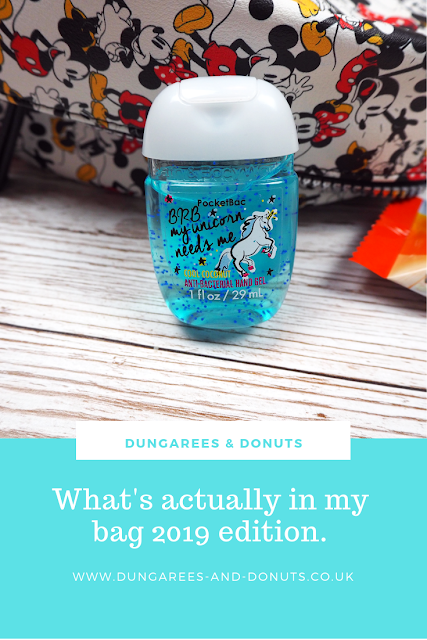 Throwback to 2014 when we were all sharing what's in my bag posts, it took over YouTube and I know many bloggers did them too, even me *insert cringe here* I remember when I was doing this, I was taking out all of the stuff which didn't look pretty in a photo, queue 20 million and one bits of paper, random rubbish and other things at the time I was like 'nobody wants to see this' and they probably didn't. I also added some items that weren't in my bag before, I mean I've gotta add makeup and a mirror to make me look more like a blogger right? But it was very faked. Fast forward 4 years and I decided to show you what is in my bag now, as this bag is new (ish) it's not as grim as some of my other bags, but I did take out the odd receipt which had made it to the bottom of the bag and put it in the bin, so it's not photographed soz. So, what's in my bag in 2019? Carry on reading to find out. 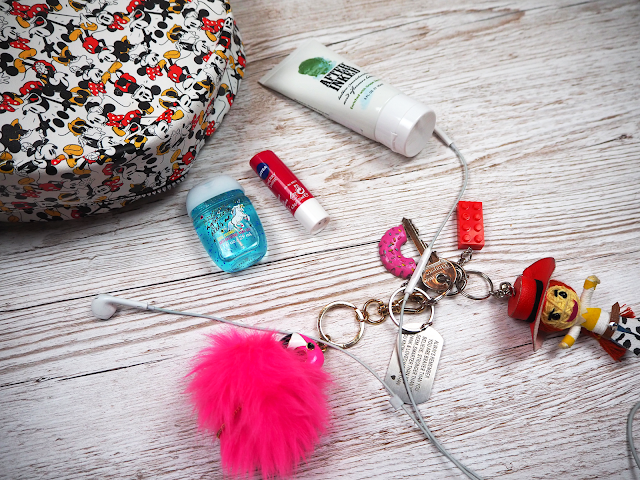 First things first, my keys. Being an adult and not living with my mum anymore means I have to take my keys with me, unlike previously when I'd leave my keys in the house and then sit on the doorstep like a stray cat until my mum returned from work. Last year I lost my keys, I assume they fell out of my bag somewhere and I didn't hear them drop. To make sure this didn't happen again, I added a ton of keyrings on it to make sure if they dropped it would make a noise, or at least be more obvious in any future searches which may need to take place. Smart right? I've been obsessed with Bath & Body Works hand sanitizers since I heard about them back in the early days of blogging. They're an American based company so when I've visited in the past, I've brought a ton back with me. I've also had them shipped from the US, I am dedicated. In the last year, I found a group where you can actually buy them from the UK which is amazing. I am surprised at the fact I only have two in my bag, as usually there is at least 4. After seeing an infographic by Brosch Direct, about germs, I decided it was time to take action and fight back against germs. Hence the many sanitizers taking over my bag. In my bag, I also have After Inked which is my favourite tattoo cream and I have had some new tattoos lately so I have to keep that handy and also a cherry lip balm, which I bought when my lips were sore the other week. Exciting stuff, am I right? Following on from those, in my bag I found 2 lipstick and 3 liquid lipsticks and I wonder why I can never find my faves, they're probably floating around in another bag in my wardrobe. Some chewing gum, which is opened and I am shocked about as I am one of those people who eat the whole pack in a few hours. They just go grim so quickly I can't help it. My work pass, which has kinda got a *bit* grim and needs a wipe down for sure. Oh and another hand sanitizer in Watermelon Lemonade, yum. 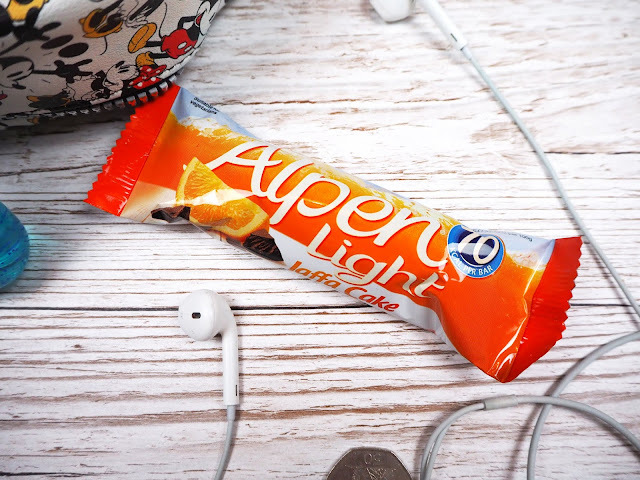 Lurking around in the bottom of my bag I found 50p, blotting papers (which are actual life savers btw), an Alpen bar for when I get hungry on the go as they're only 70 calories and taste pretty good. My purse which is pretty damn huge and probably needs a downgrade, it's full of loyalty cards, shameless plug to my previous blog post. An iPhone charger which was tangled up with my headphones, both have now been untangled and are separated for those wondering. Apart from the odd receipt which I mentioned earlier, that is everything in my bag, and if any of you are wondering my bag is from Primark for £10 and I bought it a few weeks ago so I am assuming it will still be sold. I'd love to see a return of what's in my bag posts, let me know in the comments if you enjoyed this post and although this in collaboration with Brosch Direct, all sarcasm and thoughts are my own and you should totally check out their infographic if you're curious about germs. I love Alpen bars. Always have one in my bag too! I think you can find out so much about someone by looking in their bag! I used to love whats in your bag posts I'm such a nosey so and so I have to say. I love your anti bac so cute. I remember those videos and blog posts! I always thought that my bag was a load of rubbish in comparison. I definitely didn’t have make up or mirrors in it! Love this comeback though - the What’s In My Bag ACTUALLY addition ! Ahh I miss these types of post! Blast from the past! I love looking at these posts, although my bag is full of receipts and a million pens. I love After Inked cream as well! These posts fascinate me - my bag is filled with so much irrelevant stuff, I feel I'd have to do a big clear out first, which sort of defeats the object. Yay to the return of these posts though! !